Freelance writing allows so many people to earn a living by doing what they like. Such job is creative in so many ways and, at the same time, it doesn’t require specific knowledge, unlike many others. When you want to become an artist, you have to learn how to draw well first, but when you want to become a writer, all you have to do is start writing. Of course, you might say that such job requires writing talent – and it is mostly true; however, I’ve seen people who write poorly but somehow still manage to receive decent freelance orders. So if writing talent isn’t always so important, then what exactly makes a freelance writer successful? In this article I’m going to explain to you 10 main conditions that can help you succeed in a freelance writing career. Even if some people do manage to succeed without a writing talent, this doesn’t mean that you should follow their steps. The better a freelance writer is, the more money they’ll be able to receive for their writing. Lucky for you, there are so many things that can help you become a good writer: books (both educational and fictional), various articles with tips, and, of course, a lot of practice. It might seem that a freelance writer is able to write almost about everything, but in reality it’s not that simple. Yes, a writer can research almost any topic, but some of them will be still difficult for them to write. If you don’t want to spend days on completing one article, you have to choose a list of niches that are the most familiar to you and try choosing tasks related to these niches. When you are a beginner freelancer, everything is quite unstable for you: you cannot be sure that you’ll get work task, and even if you do, you still cannot be sure that you’ll be able to find another one so easily. That’s why it’s important to be as active as possible, and reply to as many job offers as you can. If you aren’t able to write a good pitch, how are you going to write a good article? That’s why you should put effort into writing amazing pitches that will definitely catch the client’s attention. Moreover, such pitches can help you get a job even if you are a beginner writer. As I mentioned above, freelancing can be quite unstable: you might receive many job offers one week but spend the next one without any work at all. That’s why it’s better to seize the opportunity when it arrives; however, you won’t be able to do that if you don’t know how to manage your time. If you know how much time it takes for you to complete a certain task, you’ll be able to set correct deadlines and take only the orders you are able to complete in time without risking your reputation. When a writer is inexperienced and has only a few works to show, they can add all of them to their portfolio. However, it’s better to choose the best texts to present than to fill your portfolio with average works. Updating your portfolio is important too. When you become more experienced, you start writing better and so your old works start looking worse than new ones. Try to check and update your portfolio every month, removing texts that you don’t like and adding new ones. The freelance writer needs to do a lot of analysis and research for their work. However, what’s important is to implement this skill not only in the writing process but also in work. For example, you need to know how much other freelance writers charge for their work in order to set adequate rates. You need to understand your strong sides, to find out how long you can work while staying effective, which of your articles people like the most. Doing this will allow you to plan your working process better. Sometimes we just can’t accept all the job offers we have, but this still doesn’t mean that we have to decline them completely. If you aren’t able to accept the task, be sure to apologize, to explain that you’re too busy at the moment and tell a client when they can contact you again. Don’t forget to remind them about your existence and to ask them whether they still need your services. Different things happen. Sometimes, no matter how hard you try, you aren’t able to complete the task on time or to complete it all. In this case a sincere apology along with some compromises (for example, a discount for this or future order) can save the situation. Remember that your reputation is what makes you a successful freelancer. If someone gives you bad feedback, it could be easily found by your potential clients. That’s why you have to do your best to minimize the damage if something goes wrong. There are many other writers willing to succeed just like you do. That’s why you need to work hard in order to become better than the others. Sure, at first the whole working process probably will be challenging and tough, but if you meet deadlines, do your work well and work a lot, you’ll be able to become a great professional. 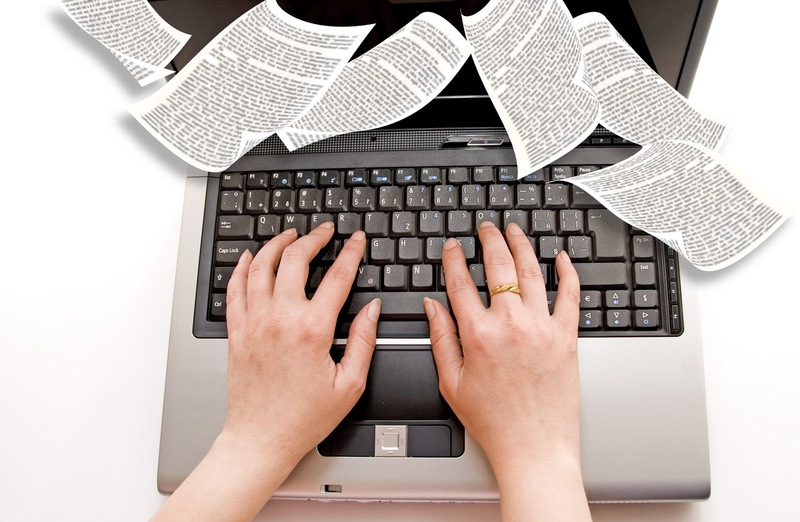 As you see, not only strong writing skills are required to become a good freelance writer. Your motivation, hard work, and communication skills are also very important. If you are able to develop such skills and qualities, they will improve not only your career, but your life too. I wish you good luck and hope that you’ll be able to build a bright freelance career with the help of these tips.